Talk about an “Electric Youth”! Deborah “Debbie” Gibson burst “Out of the Blue” when she was barely 17 with a string of hits on the Billboard charts such as “Foolish Beat,” “Only in My Dreams” and “Shake Your Love” that made this extraordinarily talented Long Island teenager the favorite of music fans everywhere and established her forever in America’s pop pantheon. Gibson scored nine Top 40 Hot 100 hits between 1987 and 1991 and remains the youngest female artist to write, produce and perform a number-one single, according to Billboard. Though born in Brooklyn, she grew up in Merrick, and Gibson credits her early experiences performing in musicals at churches and temples and the Long Island Teen Repertory Theater, as well as the WINGS program at Camp Avenue Elementary School and her teachers at Sanford Calhoun High School as helping propel her career. 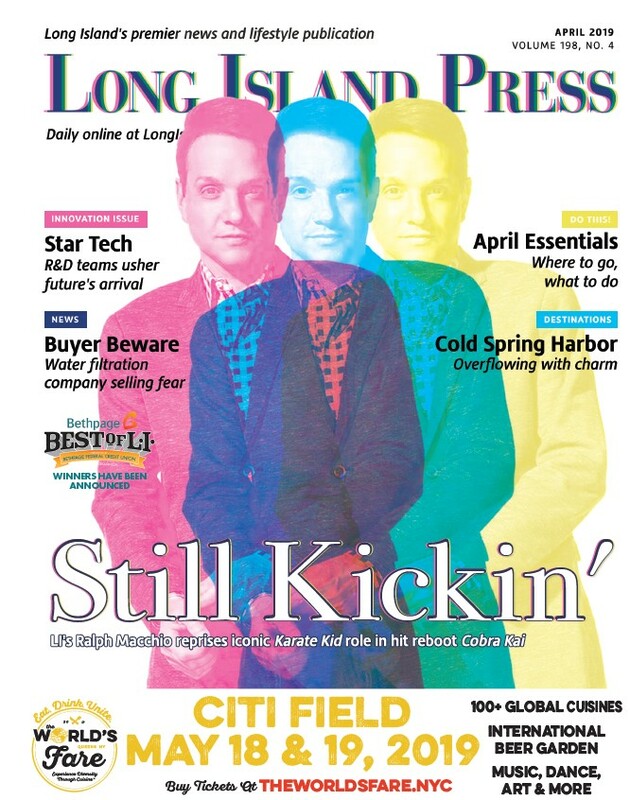 On June 8, Gibson will be performing at the Long Island Pride 2013 festival in Huntington’s Heckscher Park. For her, it was a no-brainer. Indeed, it was her wanting to be cast as “Annie” that brought her and her family regularly into Manhattan for auditions. In 1992, she played Eponine in Les Miserables on Broadway—the first of many theatrical performances on and off The Great White Way. Who would dare to argue with that? Back in the day, she supposedly had a rivalry with another young pop phenom, Tiffany, but that was just media high jinx. “There was no divide—ever!” she says. And to prove it, the pair did do a “crazy” Syfy original movie together later in their careers called “Mega Python vs. Gatoroid,” and have toured together. “I would do it again in a heartbeat,” she insists. Gibson competed in last year’s season of The Celebrity Apprentice, is about to become a judge on ABC TV’s upcoming Sing Your Face Off, and has begun working on a new album. Now 42 years old, the former teen sensation is in a good place these days, she says. Debbie Gibson will be performing at the Long Island Pride 2013 festival on Saturday, June 8 at 2 p.m. in Huntington Village’s Heckscher Park. For more information visit www.LIPride.org.